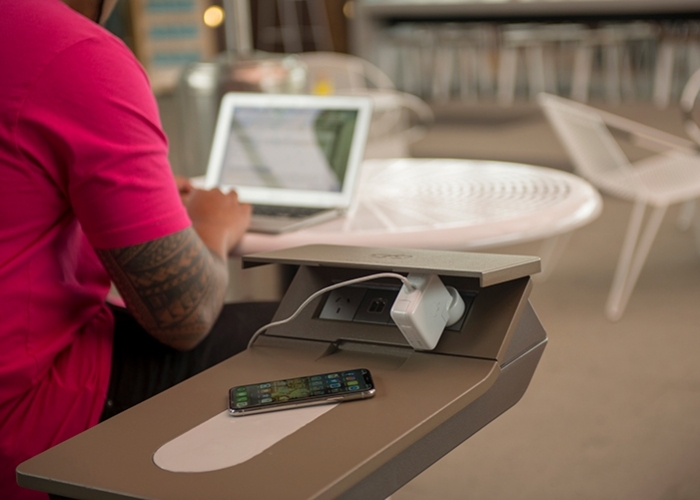 The PowerMe Table offers wireless charging through the tabletop. 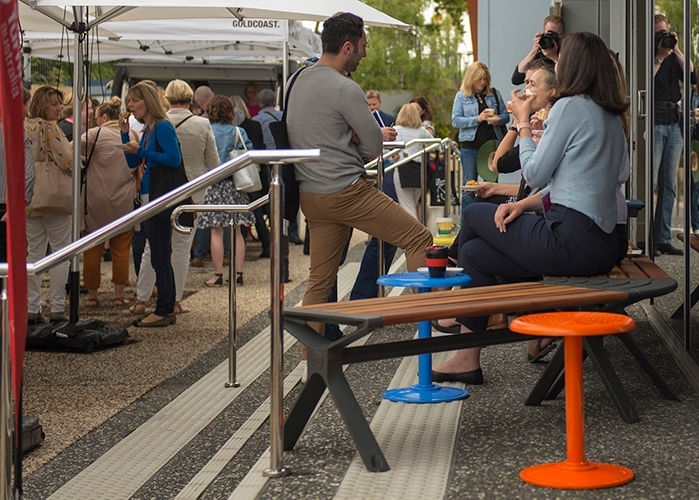 Aria Curved Bench at the 2018 International Festival of Landscape Architecture. 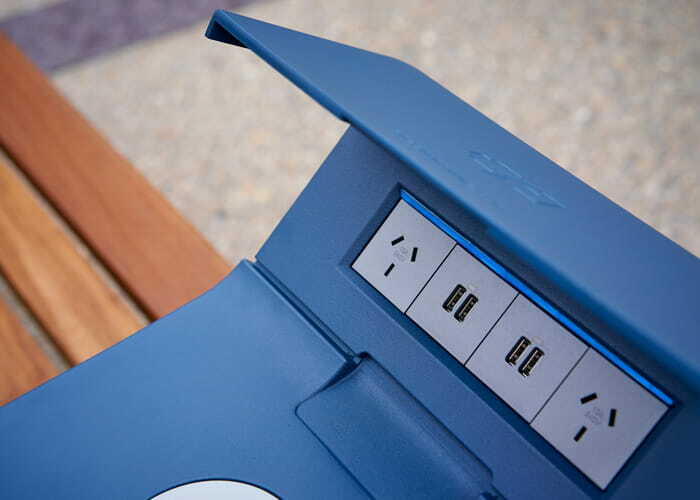 PowerMe™ charging table, with usb and power points engaged. 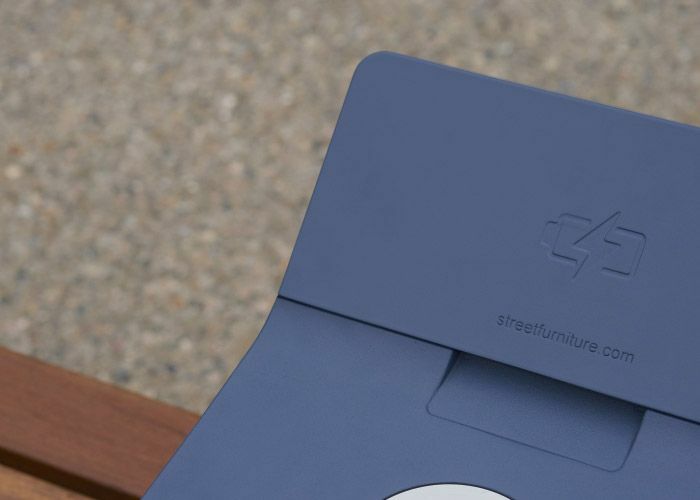 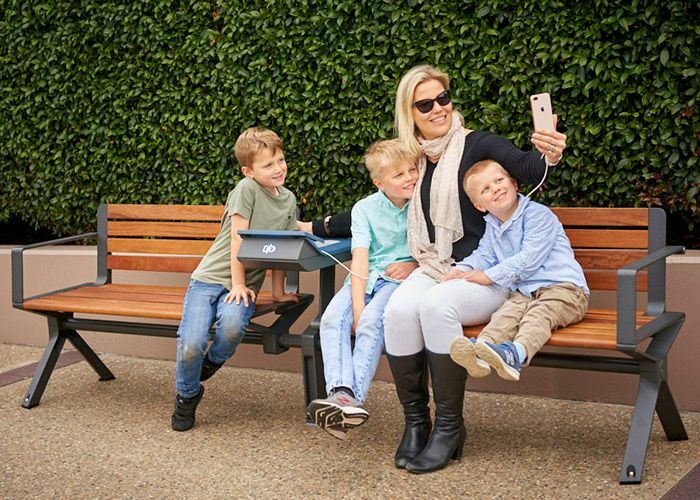 Aria Seats with PowerMe, and a Cafe Table in Bondi Blue. 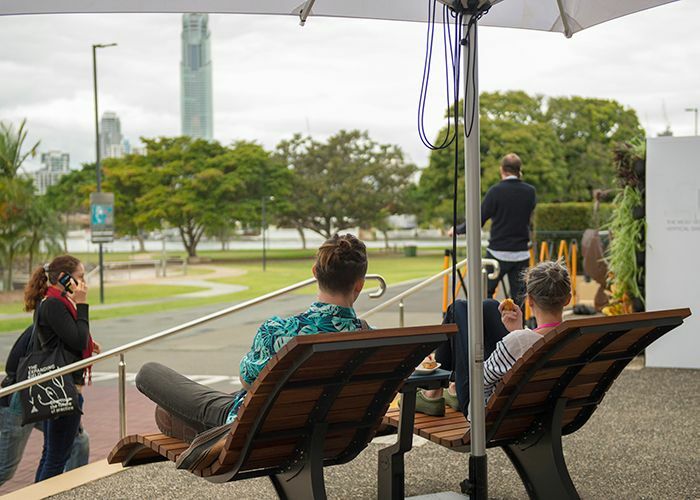 Forum and Cafe settings complemented Aria, providing a place to eat, socialise and work. 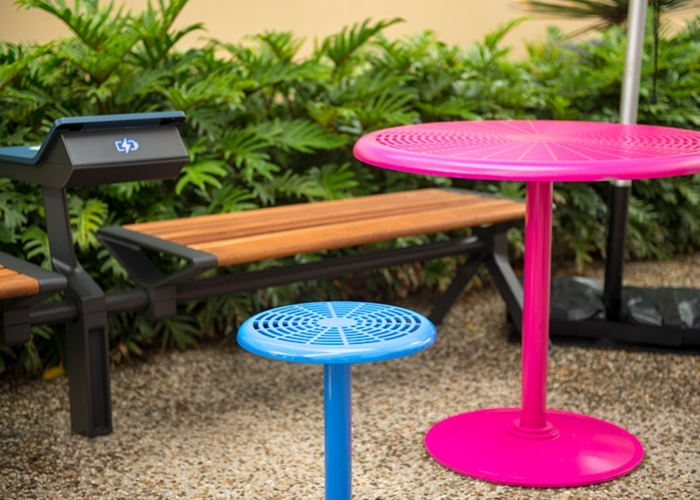 Aria Benches, PowerMe, Cafe Table in Telemagenta and Cafe Stool in Bondi Blue. 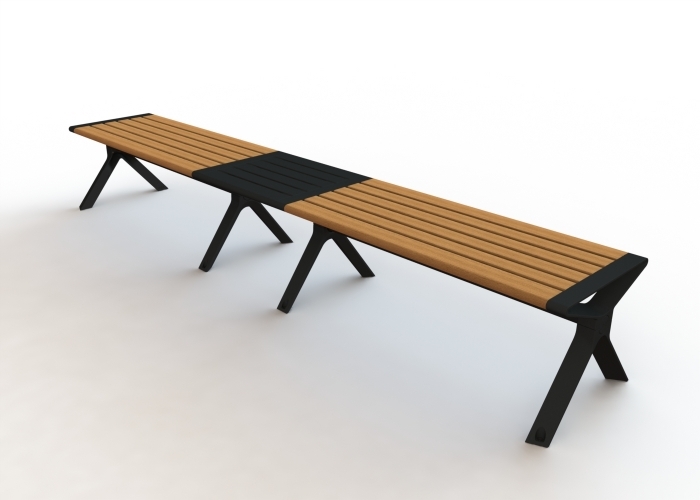 Curved Aria Bench, with Cafe Stools for your coffee. 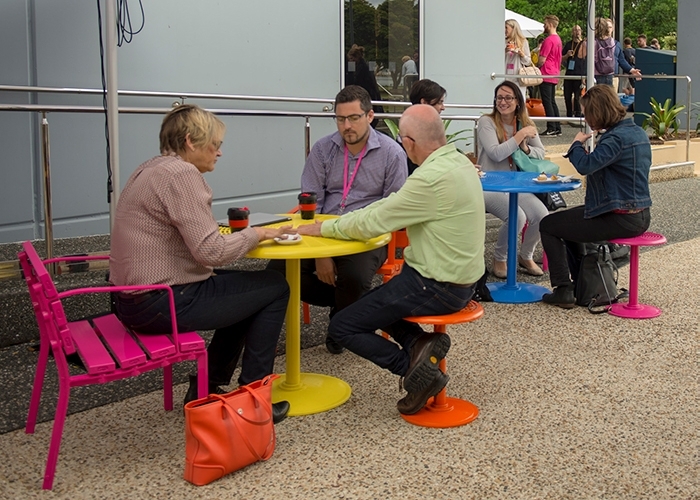 Forum and Cafe settings provided a place to eat, socialise and work. 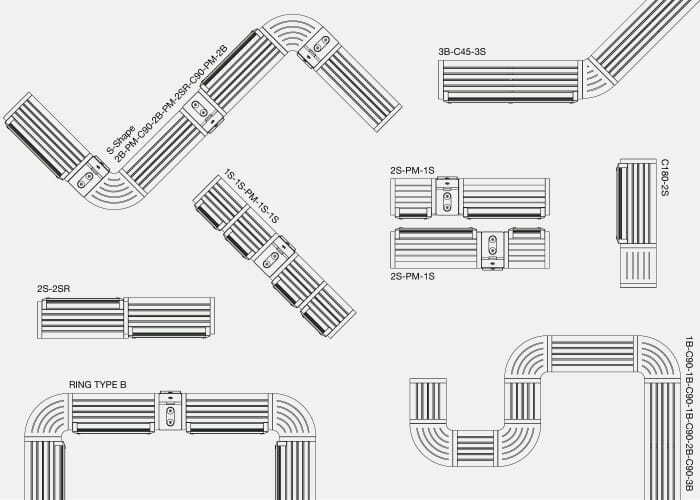 Escola eBins, in garbage and recycling configurations, with fill monitoring. 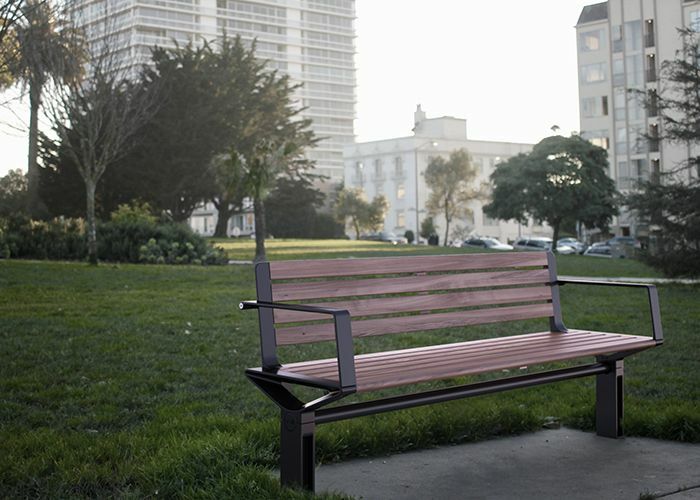 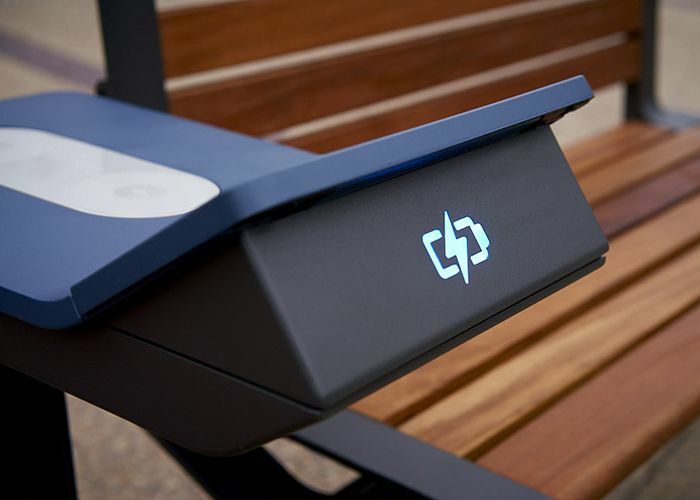 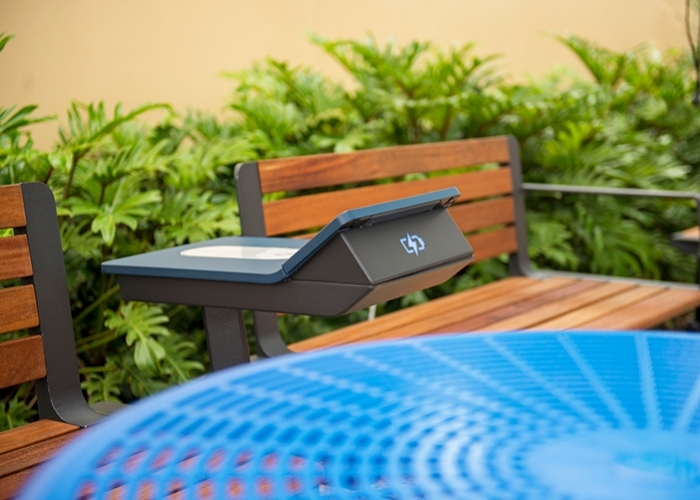 Mall Sun Lounges, with a standalone PowerMe, offered a relaxing waterfront view. 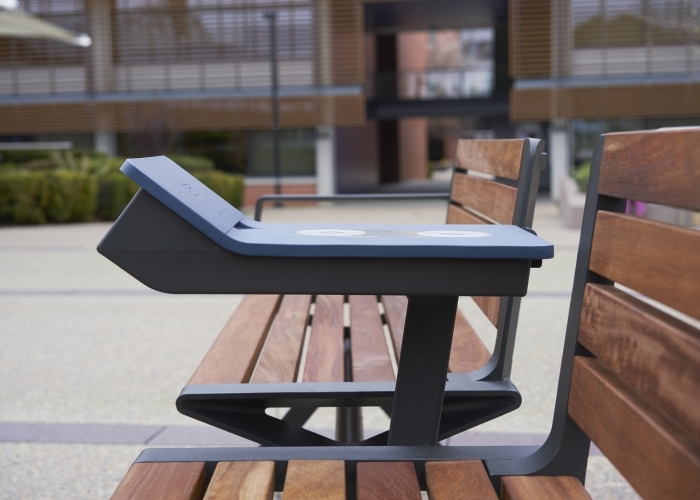 Aria S-Shape configuration at the Home of the Arts entrance. 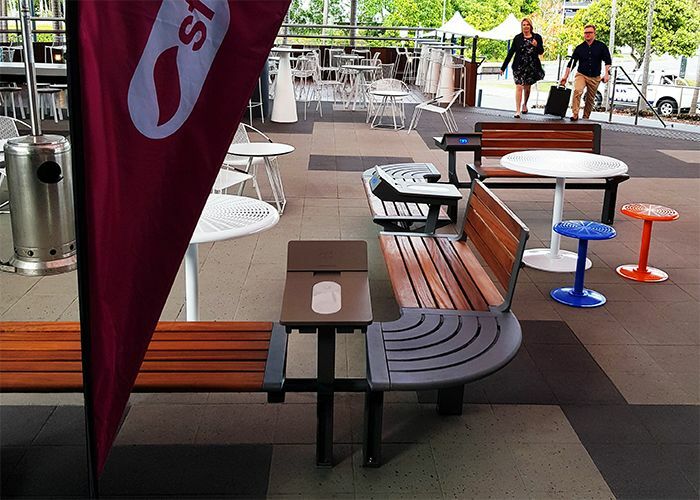 A quiet place to work away from the Conference buzz: Aria S-Shape. 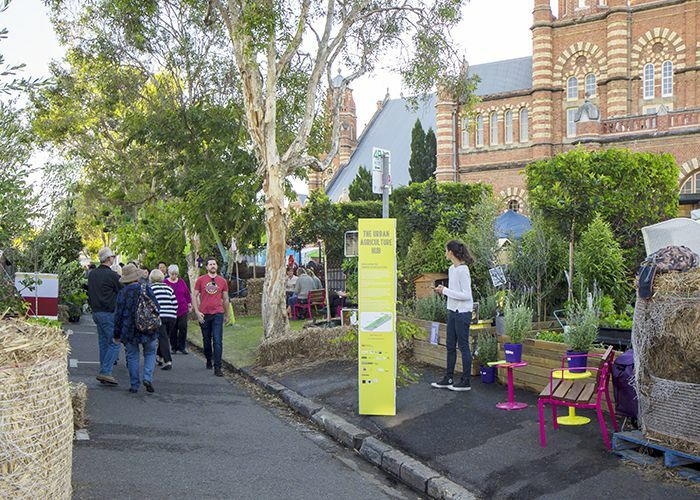 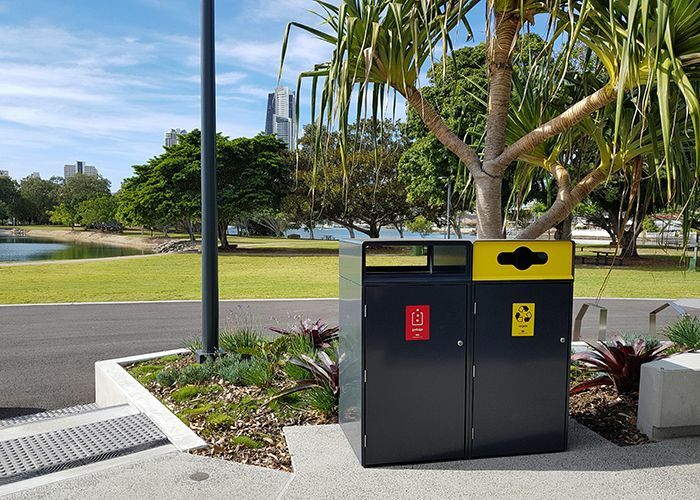 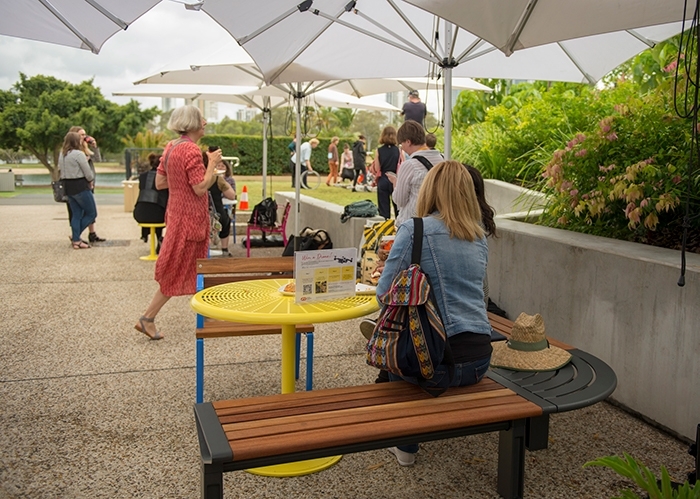 Street Furniture Australia furnished the 2018 International Festival of Landscape Architecture: The Expanding Field on the Gold Coast in October 2018 with places for delegates to relax and recharge their phones. 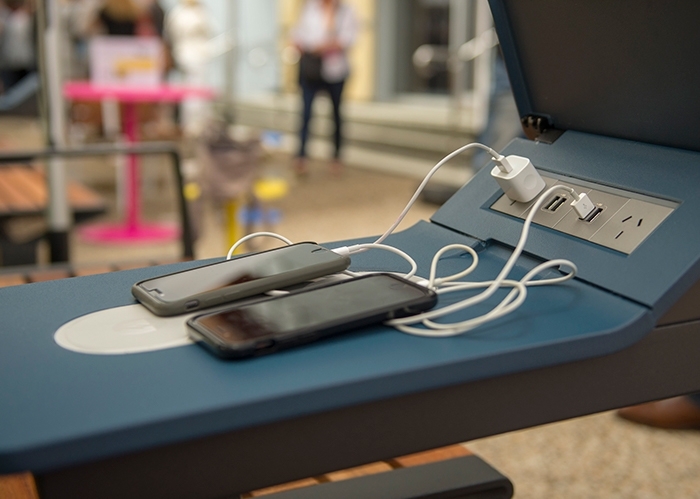 Various configurations of the Aria Seating System, including Seats and Benches, an S-Shape and Curved settings, were on show throughout the Home of the Arts venue, with PowerMe™ charging tables. 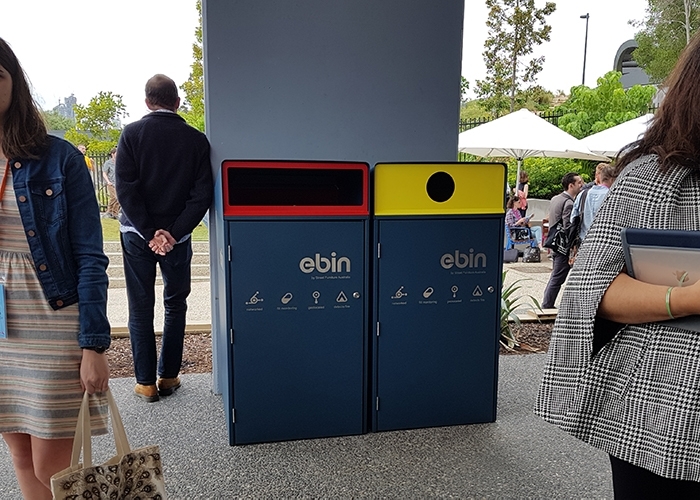 Escola eBins collected rubbish and recycling, with working sensors inside to monitor and show fill levels throughout the event. 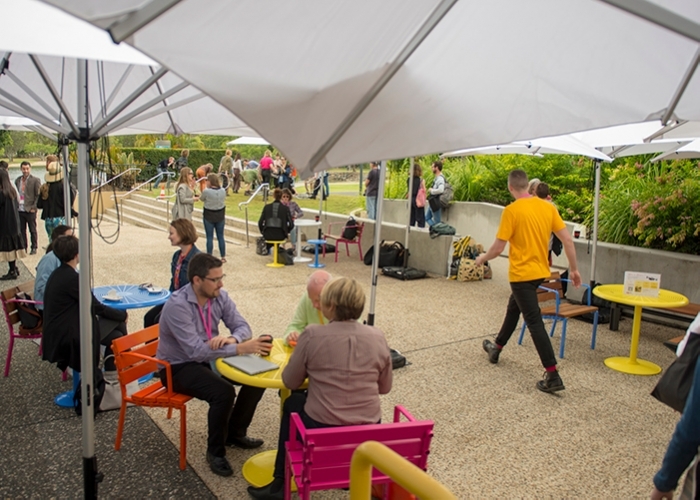 The Forum and Cafe Range added colour with bright powder coats, supporting Aria to provide work and dining opportunities under umbrellas. 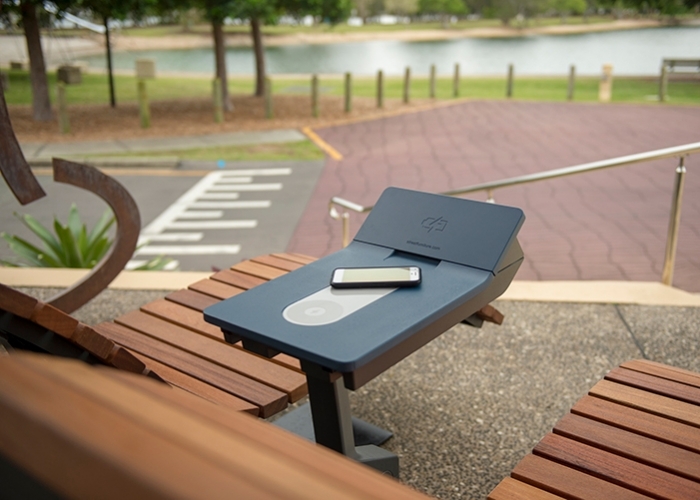 Two Mall Sun Lounges enjoyed a prime waterfront view, with their own standalone PowerMe to rest a coffee and snack, while powering up. 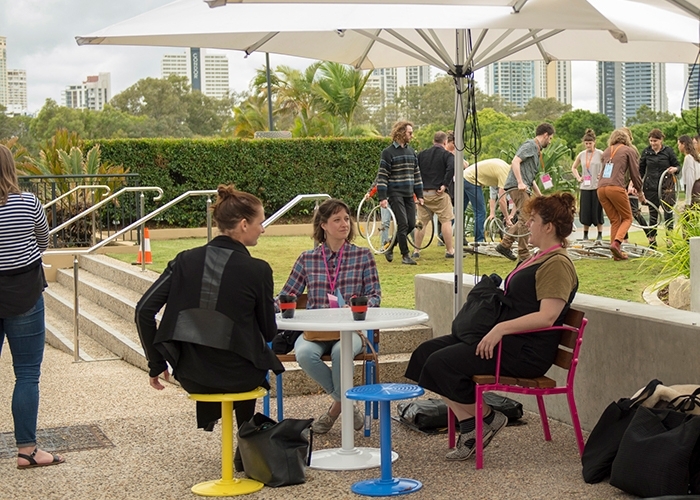 The Festival attracted some 500 delegates from public space professions, from all over Australia and even the globe. 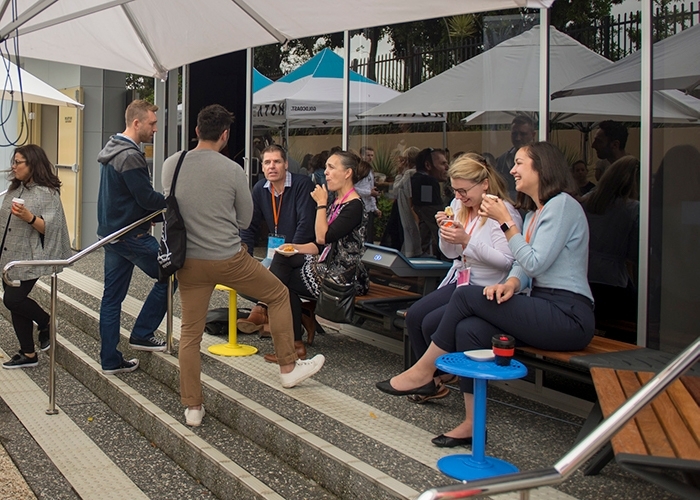 The eField provided an easy space to eat, network and socialise between conference sessions, which were curated by Creative Directors TCL.